Wipro chairman Azim Premji increases his commitment towards philanthropy by additionally earmarking 34 per cent of Wipro shares worth Rs 52,750 crore towards Azim Premji Foundation. Wipro chairman Azim Premji is set to give serious competition to two of the world's richest and most active philanthropists, Bill Gates and Warren Buffett, by increasing his commitment towards philanthropy. Premji on Wednesday announced he has increased his commitment to philanthropy, by irrevocably renouncing more of his personal assets and earmarking them to the Endowment, which supports the Azim Premji Foundation's philanthropic activities. He has earmarked 34 per cent of Wipro shares worth Rs 52,750 crore (USD 7.5 billion) held by certain entities controlled by him for philanthropic activities. This is in addition to his earlier donations, which included Wipro's shares, as well as other assets owned by him. With this, the total value of the philanthropic endowment corpus contributed by Premji is Rs 1.45 lakh crore, which includes 67 per cent of 'economic ownership' of Wipro Limited. "Azim Premji's philanthropic activities have an overarching vision to contribute to developing a just, equitable, humane and sustainable society in India. 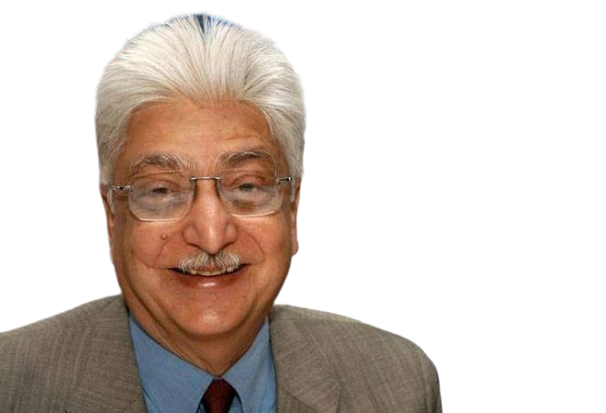 To enable this vision, the Azim Premji Foundation works directly in education and supports other not-for-profits working in some specific areas through multi-year financial grants," Azim Premji Foundation said in a statement. The Foundation's extensive field work in education has been in some of the most disadvantaged parts of India, to help contribute to the improvement of quality and equity of the public (government) schooling system. As part of its overall strategy, the Foundation has also set up the Azim Premji University in Bangalore. The initiative to support other not-for-profits by providing multi-year grants was started in 2014 by the Foundation. The grants support efforts of partners that directly or indirectly help create tangible improvements in the lives of deeply disadvantaged, under-served and marginalised sections of our society. In the last five years, these grants have supported over 150 organisations engaged in a range of domains across India.